C. Curry Bohm was born in Nashville, Tennessee on October 19, 1894. He studied at the National Academy and also at the Art Institute of Chicago. He also studied with Edward F. Timmons. His watercolors and oils reflect his versatility and love of life. He was exceedingly generous in civic affairs and showed his patriotism during World War II by working for General Motors for 28 months. He made his first visit to Brown County in 1920, returning yearly to paint until 1932 when he and his wife, Lillian, made Nashville their permanent home. C. Curry Bohm is a charter member of the Brown County Art Gallery Association and a member of the Brown County Art Guild. 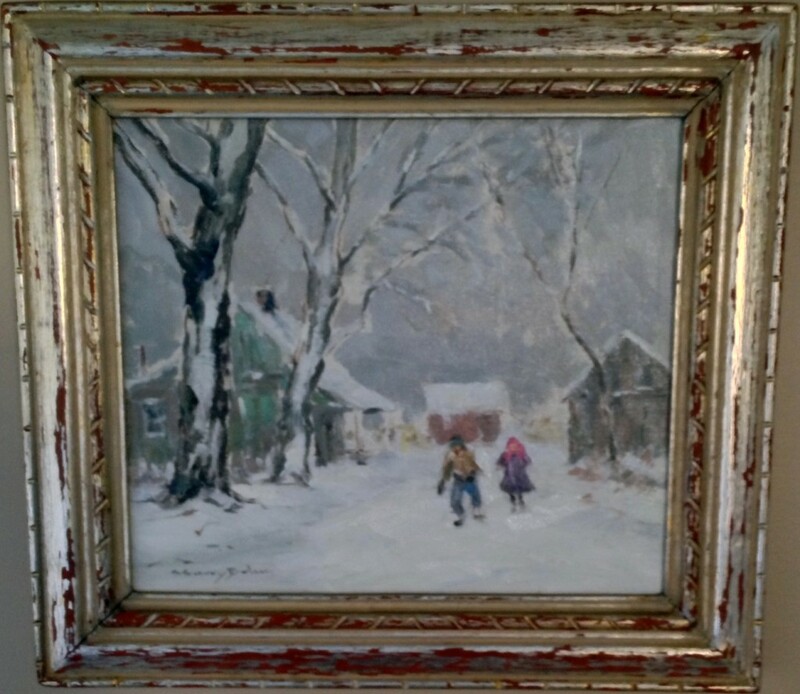 He was also a member of the Hoosier Salon, Rockport Art Association, and the North Shore Art Association. His associations are the Chicago Palette and Chisel Academy of Fine Arts. Mr. Bohm received the Chicago Municipal Art League Prize, The Gold Medal in the Chicago Palette and Chisel, the Frederick N. Vance Memorial Award from the Brown County Art Gallery, the Edward Rector Memorial from the Hoosier Salon, the Lawrence A. Downs Prize, the Tri Kappa Purchase Prize, Daughters of Indiana Award, and the Hoosier Salon Summer Landscape Prize. C. Curry Bohm was selected by the International Business Machines Corporation for representation at the World’s Fair in 1940.